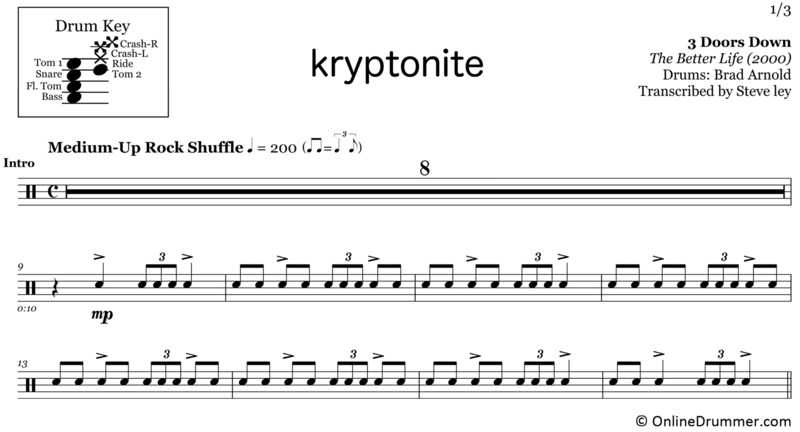 The full drum sheet music for “Kryptonite” by 3 Doors Down from the album The Better Life (2000). Brad Arnold brings an up-beat, musical approach to this post-grunge classic by 3 Doors Down. Reportedly, this was one of the first songs ever written by Arnold as a teenager. He plays both the drum track and sings lead vocals. The intro, first verse and bridge grooves feature a shuffled snare drum groove — essentially a swing train beat. 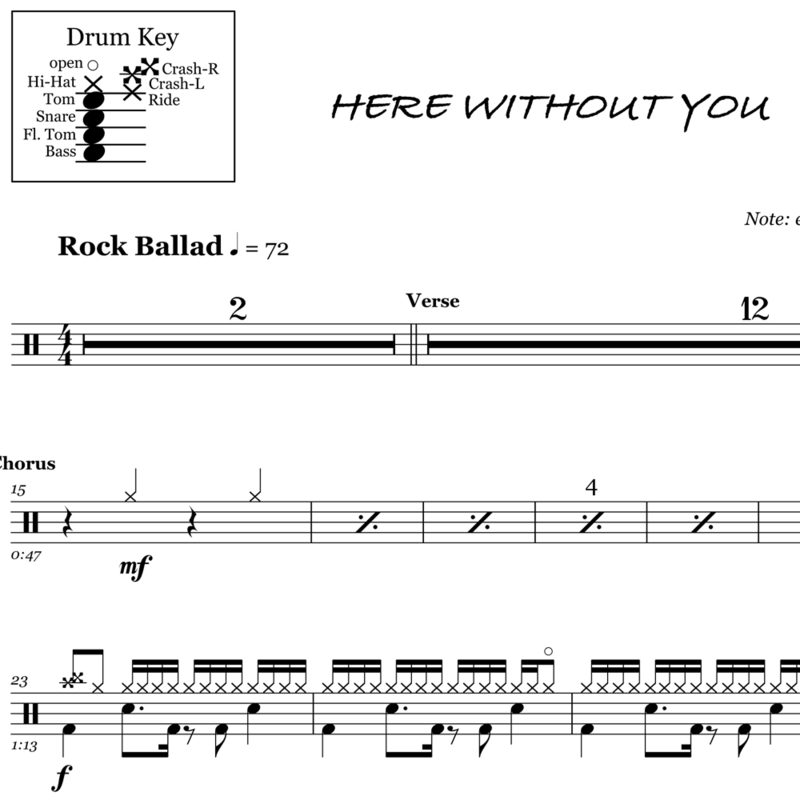 The swung eighth notes are played with alternate sticking and the triplets are played with Swiss Triplet sticking (RRL) to keep the leading hand playing on the beat.